OK, sound the alarms. Wake up the kids. Lace up your shoes and get ready to go out and get some great food from a pile food trucks who have traveled across the country to feed us here in Salt Lake. Let’s go tear it up. Address : RC Willey at 2301 S. 300 W.
It’s time to call the taco army into active duty. Polish your boots and bring your appetites because the Food Network’s Food Truck Race is arriving as we speak in our very own Salt Lake City. 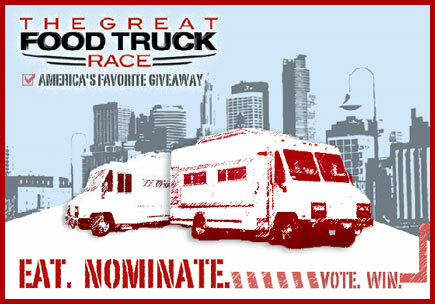 What is the Food Truck Race? It’s a great competition based around mobile food vendors traveling across the trying to serve up the best food on wheels possible. Why should we participate in Salt Lake? We would be promoting our food culture here which is worth celebrating. Since this is a national broadcast, this also draws attention for how much people in this area care about good mobile food like street tacos, burgers, and such. When does this happen? I have some sources telling me this will start happening as early as Friday but more likely it will be Saturday or Sunday. Where will this be? We don’t know yet. That is why we need the taco army to watch this page, Twitter and Facebook over the next 24- 48 hours. As soon as we know locations, we will post them to all 3 places. Once they post them, tell your fellow soldiers in the taco army to get out and try some of the food. What kind of food will there be? We already know that there will be many different kinds of food. Some are of Mexican flavors and there will be other inventions as well. We need to try them all. Questions? Let’s start the discussion!! !